During the divorce process, state courts may determine how to divide child custody between the divorcing parents, if the parents cannot come to their own arrangement. Each state sets its own rules for how custody can be divided, including the criteria each court will use to establish a custody arrangement. Generally, parents can agree to their own custody arrangement, but the court will rely on state guidelines, if the parents cannot agree. Typically, state laws craft child custody guidelines that focus on the best interests of the child involved. To uncover the child's best interests, state laws may establish a set of factors a court must or may consider when addressing custody arrangements. Even without such factors, a court's primary concern is designing an arrangement that is in the best interest of the child, regardless of the convenience to the child's parents. For example, if a child has been abused by a parent, the court is unlikely to give significant custody rights to that parent, even if he says he wants custody. But if a child is close to both of his parents, the court might try to split custody as evenly as possible to preserve the child's relationship with each parent. 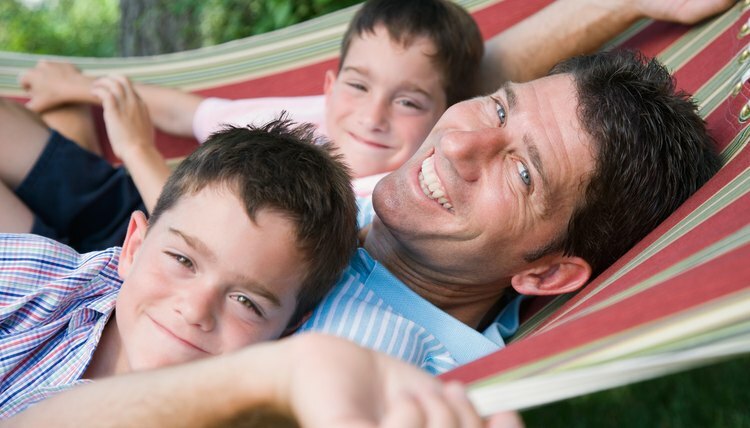 Many custody factors focus on providing a consistent living environment for the child. Michigan courts, for example, consider the length of time the child has lived in a stable and positive environment along with that child's need for continuity and the permanence of each parent's home. Minnesota courts consider the child's adjustment to his home and community and whether each parent's existing home contains a permanent family unit. This does not mean that a parent who lacks continuity cannot be awarded custody, but it is a significant consideration for most courts. A parent who can provide a stable home in the child's community may stand a higher chance of being awarded greater custodial rights. Courts can also use other factors to determine what custody arrangement is in the child's best interests. For example, courts might consider a child's preference if the child is old enough, or courts can consider the mental and physical health of each parent. None of these factors independently decides the custody arrangement for a divorcing family; judges consider the whole range of circumstances before reaching a decision. In fact, state laws generally have a catch-all factor that allows courts to consider any factor that is relevant to the child's situation. Thus, even in unusual circumstances, the court can craft an arrangement that is in the child's best interests. When parents cannot agree on a custody arrangement, the court must decide for them, using the criteria in state law. This determination happens during the divorce case, though it may require additional hearings to resolve. At these hearings, the court can receive evidence from each parent, including testimony from third parties like daycare workers, teachers, relatives or doctors. These witnesses can describe the parents' interactions with their child, helping the court address each of the factors necessary to determine the child's best interests. In Idaho, parents may have joint custody, which allows both to make important decisions concerning the child and spend time with the child. If the judge declines to award joint custody, he must give a reason. In some cases, the child may have a preference regarding custody; Idaho law allows the courts to consider the child's wishes. However, because children often feel the stress and tension of a custody dispute or a divorce, some parents may prefer to avoid placing their children in the middle of a conflict. Can a Mother Overturn Residential Custody? If a court has made a residential custody determination, in some circumstances a mother can get it overturned. The rules for doing so are not any different for mothers than they are for fathers. The process and standards for overturning a custody decision are different in every state. However, many states have similar statutes. How Does Louisiana's Child Support System Work? When parents divorce, children may suffer financially from the decreased household income level. Child support orders are given to help ensure that both parents are supporting the children financially, even when only one parent has custody of the children. In Louisiana, as in other states, child support guidelines help determine the amount to be paid, and the state can help a custodial parent obtain payments.